This summer was incredible ~ my most productive, even though I moved cross country! This has been such an incredibly busy summer, busier than ever in my life! I moved from D.C. to L.A. in June while at the same time I launched a whole new program for the summer ~ Raw Lifestyle Cleanse; revamped my 10 Week Health Evolution Program, created a brand new Gut Health Program (because we all know disease begins in the gut – so lets gut that gut working properly); and finally >>>>> improved my formulas for my new line of Ayurvedic facial cleansers, masks, and facial steam baths. Here’s a video on how it all started. And….I just found out today that I passed my written exam and I am now officially a Certified Yoga Health Coach – woohoo! What a summer it has been. Those of you that know me know how passionate I am about clean ingredients and what is going inside our body and on our skin. My philosophy is ~ if you can’t eat it, why on earth are you putting this product on your skin? Your skin is your largest organ, your first line of defense, and one the major detoxifying agents for your body. What I realized over the course of the last 5 years, as my diet got cleaner and cleaner, is that I became highly sensitive to most facial cleansing products and most face creams because all of them have preservatives or toxic ingredients in them. I would find myself breaking out, or getting hives, rashes, and swelling. One time I used a cream that ended up causing such swelling to my face that I had to be put on steroids for a week! It was awful. It was very disheartening because I thought if I spent top dollar on these facial cleansing products, I would get great results >>> my face would be clean, my rosacea and adult acne would clear up, and I would wake up the next morning with glowing skin. So far from the truth. I’ve been a cosmetic fanatic since I was a teenager, and cost never stopped me, so you can say I’ve been experimenting with products all my life. Nothing worked until I turned to Ayurveda. When I started following a diet according to my constitution, and once I started applying ingredients made out of real herbs on my face according to the teachings of Ayurveda, my skin transformed! My rosacea and adult acne cleared up, and the uneven tones from years of sun damage are now gone. I don’t even need to cover up my face with make-up anymore, even at the age of 50! My face is glowing, and it all has to do with not only what’s going in my body, but my daily ritual >>>> how I clean my face and what oils I put on my face. It’s what I like to call a synergistic effect of everything I do. Some of you have tried my Ayurvedic facial scrubs, steam baths, and facial masks, and were delighted with the results after just one use. And many of you have asked if I would sell them in the future. Well, today I am announcing that YES, I will start selling a limited quantity beginning in October. After two years of studying Ayurvedic facials and ubtan powders as they are traditionally made, I have created my own signature formula. These Ayurvedic facial scrubs and masks are all handmade by me personally out of an exotic blend of 100% organic herbs, from all over the world, synergistically combined to nourish, re-mineralize, and rejuvenate the face. I’ve created an Ayurvedic facial scrub, mask and steam bath for each skin type and constitution (Tri-doshic or normal skin; Vata or dry/mature skin; Pitta or oily/inflamed skin; and Kapha or congested skin). The Ayurvedic facial scrubs contain a number of herbs that help to reduce visible acne scars, marks, and pigmentation. They reduce facial hair growth, and are anti-aging due to the anti-oxidative and anti-inflammatory properties of the herbs used. The facial scrubs not only help you get a smoother complexion, but they also help prevent common skin problems such black heads, white heads, and pimples (which is the main reason I began making these products). And because they contain rose petal and sandalwood powder, so they also act as mild exfoliators, removing dead skin cells and revealing healthier and improved skin tone and texture. The real beauty of my scrubs and mask creations, though, is that YOU can also change the outcome of the formula by choosing a specific liquid form to mix these powders with. If your skin is dry or mature, you can mix the facial scrub powder with Aloe Vera juice or oil such as jojoba or Rosa Mosqueta oil. If your skin is oily or congested, mix the powder with some freshly squeezed lemon & filtered water. If your skin type is normal, use rose water, filtered water, or tap water. Simple. The desired effect of the steam bath can also be adjusted by the essential oil(s) you put along with the herbal pack. In other words, as your skin requirements change, so to can the formula based on what liquid form you choose to mix the powders and masks, or what essential oil you use with your herbal steam bath. Simple, yet such amazing magic! 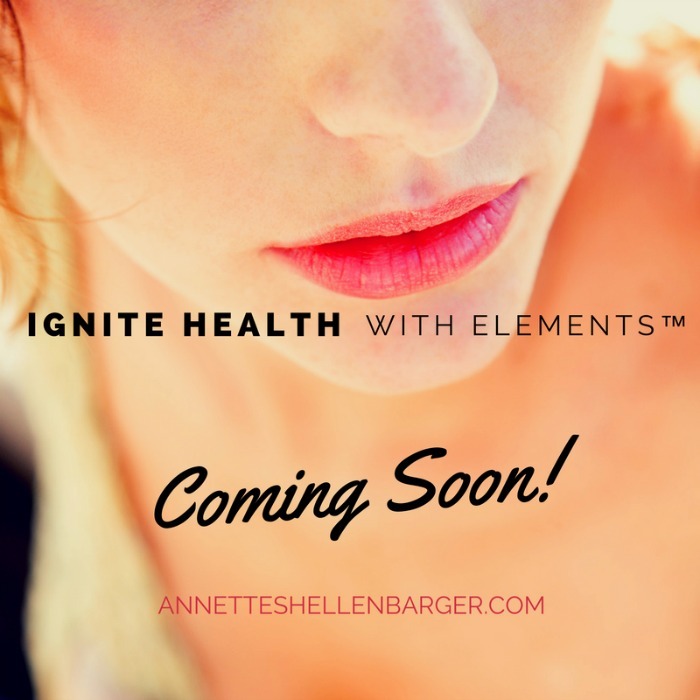 My products will be ready to be shipped out in October 2016, and if you’re interested in finding out more, please send me an email at: annetteshellenbarger.com, or just CLICK HERE and you’ll be added to the ‘interested wait list’. These cleansing scrubs, masks, and herbal steam packs are handmade by me in small batches, as everything made with love should be.